Everyone enjoys shopping, buying something, anything, and it’s always a lot easier when charging it, using virtual payment such as credit cards, debit cards, or smart cards. Paying with a piece of plastic hasn’t been more convenient, this as proven by the retailing and gaming industry, while the only payment option that’s offered online remains virtual. When it comes to the gaming industry, a small round piece of ceramic chip represents cash, and can easily be worth $100 or more. Losing this chip playing a game of chance doesn’t take the dent out of the psyche of the player, as would a real actual $100 bill. This chip almost seems like play money, so it can and is usually lost with a spin of a wheel, and it doesn’t hurt near as much once it’s gone. Large enterprise retailers know that consumers will always spend more when purchasing anything with plastic, this since it’s easier to use a credit card than handling over actual hard earned dollar bills. There are various forms of virtual money, where spending and buying can now be as easy as a click of a mouse on an eCommerce site. Whether it be PayPal, tokens, smart cards, gift cards, or a debit/credit card, they all serve the same function psychologically. What they do is disguise actual real hard earned currency and the true value which they represent. The colorful casino chips are often and easily gambled without any hesitation or thought. Virtual spending is projected to get more sophisticated as casinos are expected to convert to complete cashless systems, such as every one of their players using smart cards. Their argument is that by doing so, it’s more convenience for their customers, rather than admitting that they’ll mindlessly spend more. Technically, what these smart cards will do is help in speeding up the process, as “punters” won’t need to waste time inserting coins or chips into a machine. All the winnings are also stored directly on the smart cards, credited directly on the individuals account. While this may be efficient, but what arises is the actual protection of the chronic gambler. For instance, smart cards are able to track the players movement such as their pattern of gambling, frequency, and the average bet, etc. These smart cards are capable of tracking their exact movements once they set foot in their establishment. Tracking customer behavior is the lifeblood for every business in this sector. 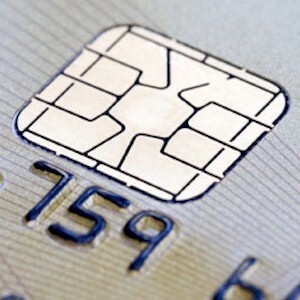 Smart cards are able to collect and track data which are used to compile exact specific detailed customer profiles. This data is able to reveal commercial enterprises the exact habits on how each and every customer is spending their money, this based on their specific financial transactions. In gaming houses, this data is then crunched and then analyzed into a number of different demographic variables, such as gender, age group, occupation, income bracket, race, etc. For the other commercial sectors such as department and grocery stores, it’s argued that collecting such information helps in enhancing the customers experience, as well as the future retention of them. The majority of consumers are also unaware and unknowingly passing along this vital information regarding their patterns, which raises a “red flag” for some regarding the erosion of privacy. Every purchase can potentially be profiled according to how they choose to transact with the various service providers that they use. They’re able to track accounts directly from when they initially opened their accounts, and then every transaction thereafter. The technology of sifting through and then assessing vast amounts of consumer data has existed for some time, and yes, if you use any type of credit, there is a book on you. Using extremely sophisticated software tracking programs, retailers are able to tailor the information exactly however they want, this based on their customer’s interests. So what this comes down to is the fine black and white line of what the customer needs, and the actual exploitation of their rights. They’ll then tailor the merchandising of their products to suit what their customers like the most. These practices are now all utilized by direct and brand marketers by they offering loyalty promotions and offers, which are disguised as recognition and consumer awareness programs. When providing any data to sites disguised as loyalty or freebie sites on the Internet, what consumers are supplying is information which usually includes: their name, address, phone number, gender, income, date of birth, etc. Then the site can track the exact patterns of you the consumer, this whenever you’re online, in their retail store, or in their casino. They know exactly what your tenancies are, what you like, and how much you’re likely to spend. They will then be able to send you the consumer their different tailored offers, coupons, vouchers, and rebates, all based on your likes and habits. Different types of rewards and benefits to the consumer includes, entertainment, food, beverage, and cash. The most unscrupulous of retailers or casino operators may at times entice problem gamblers or chronic shoppers back into their premises, offering them specifically tailored freebies, and they’ll usually bite. The convenience of smart cards comes with a price, and that is the invasion of privacy to the consumer, advantage retailer. For the companies who analyzes and tracks this information, breaking down the data, they can technically use this information in a variety of ways, such as identifying these chronic shopaholics or problem gamblers, and then helping them towards recovery. But as of now, it appears that they’re just exploiting and taking advantage of them instead of attempting to put a stop to their defective habits.